Carnegie Mellon University researchers have developed Duolingo, a free Web site that helps users learn new languages while also translating the text on Web pages into different languages. Princeton University researchers have developed Serval, an open source system that aims to make Web services such as Gmail and Facebook more easily accessible, regardless of where the end user is. Technical University in Darmstadt researchers have developed a method for home Wi-Fi routers to form a backup mesh network to be used by the police, firefighters, and other emergency personnel in the case of a disaster or other incident that disrupts standard phone networks. University of Tulsa researchers want to slow down network traffic in order to detect malware more efficiently. University of Washington researchers have developed Control-Alt-Hack, a card game designed to introduce computer science students to security topics. Bonn University researchers have developed a virtual drive that runs inside a USB drive to capture malware before it infects the computer. University of California, Berkeley researchers have developed the Internet Protocol (IP) over Xylophone Players system, which can provide a fully compliant IP connection between two computers. UNH Manchester will host a free lecture titled, “Systems Engineering of Software Intensive Systems: Primer and Graduate Education,” on Thursday, March 29, 2012 at 7:00 p.m. in room 323. This talk addresses “big picture” thinking about software intensive systems. The fundamentals and challenges of systems engineering for software intensive systems will be highlighted. The presenter, Michael S. Deutsch, will also provide examples and an overview of contemporary systems in need of systems engineering. Deutsch will also be on hand to discuss graduate education in systems engineering. About the Presenter: Michael S. Deutsch joined the Computer Science Department at UNH in 2008 after eight years at Texas A&M University where his appointment was Executive Professor in the Information and Operations Management Department. He is also an independent consultant specializing in systems engineering, software project management, and software cost estimation. Through 2000, Deutsch was Chief Scientist at Hughes Electronics’ Network Systems in Germantown, MD where he guided long range software engineering improvement planning. His 30+ years of practical experience in system and software engineering have spanned an entire range of disciplines: system engineering, quality assurance, development, verification and validation, new business acquisition, and project management. Applications experience has entailed real-time sensor processing, satellite mission planning, sensor control, information systems, and telecommunications systems. Deutsch is the author of two textbooks on software quality methods: Software Verification and Validation: Realistic Project Approaches and Software Quality Engineering: A Total Technical and Management Approach. He has been associate editor of IEEE Transactions on Software Engineering and is a member of the IEEE Computer Society. In 1989, he represented Hughes Electronics as a visiting affiliate at the Software Engineering Institute of Carnegie Mellon University. The program is offered by the IEEE New Hampshire Section Computer Society Chapter as part of their seminar series. UNH Manchester’s engineering technology program is a co-sponsor of the series. For more information emailieeecsnh@gmail.com. All seminars are free and open to the public. Free parking is available after 5:30 p.m. behind UNH Manchester in the city’s Arms Park lot. 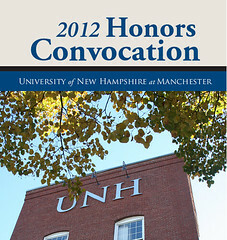 Visit the college’s website for directions and parking information, www.manchester.unh.edu.